You can order from our online shop 24/7. Burley is a tourist destination therefore we will be open longer hours in the main tourist season. 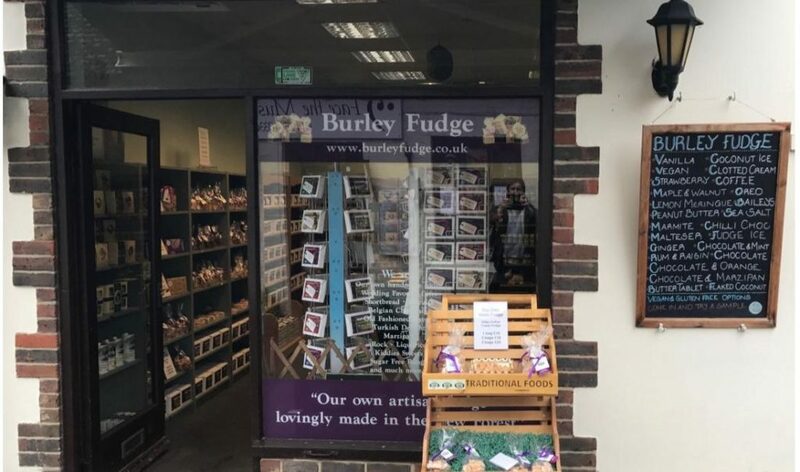 Burley Fudge Shop address is 2 The Mall Burley Hampshire BH24 4BS. You can find us using the map below. Visitors can access the shop via a small Mall leading from the Village Car Park. There is easy access to the shop from both the Car Park and the village Coach Park and is therefore suitable for all abilities. There is one step into the fudge shop, we have a ramp for wheelchair access. Please ask a member of staff and they will be willing to help.